I’ve been playing with Periscope this morning and thinking a lot about how it has simplified the process of livestreaming but also how it has perfected the two-way communications layer over the livestream. This is in many ways what Tim Pool was doing during the Occupy protests in 2011 and 2012, in which his livestream audience served as directors and producers telling him where to go and what to cover. During those Occupy protests livestreams and journalists — both mainstream and indie — were being arrested in alarming numbers when they pointed their cameras and cell phones at police. In the years since the power of cell phone cameras and livestreaming apps has only expanded and more and more people are taking up these tools. As such, there is a real opportunity for apps like Periscope and Meerkat to help people understand their right to record. I would love to see a partnership between these apps and an organization like WITNESS to create in app notifications, guides and best practices for safe and secure citizen journalism and eye witness recording. 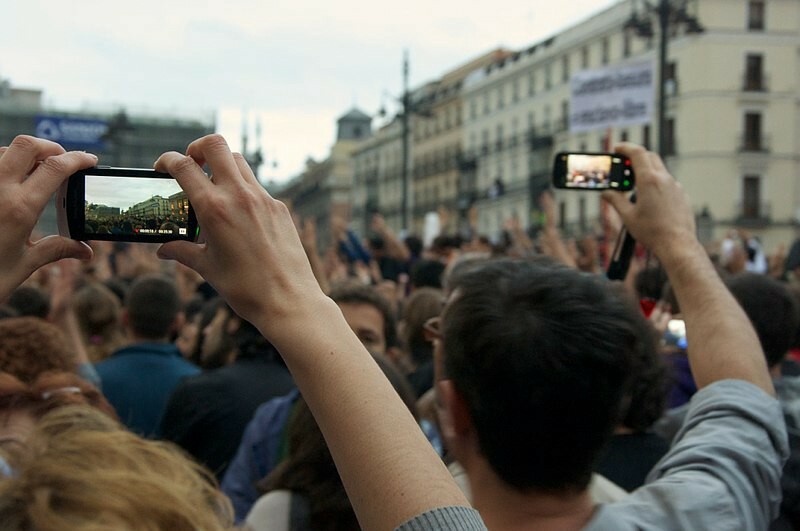 Right around the time of the Occupy protests a series of important court cases and statements from the Department of Justice reinforced our First Amendment right to record. As we celebrate these amazing new tools, let’s also use them as a springboard to assert and protect our rights.